Academic Staff Chen, Nicholas Z. Y.
Dr. Nicholas Zhiyao Chen is an Assistant Professor at The Chinese University of Hong Kong (CUHK) Business School. 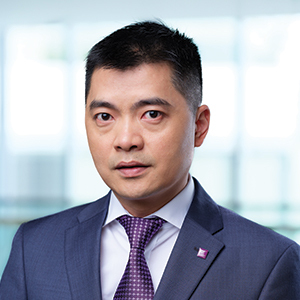 Dr. Chen joined CUHK in 2015, and prior to this, he was an Assistant Professor at the Henley Business School, University of Reading in the U.K. He received a Ph.D. in Finance from the Foster School of Business, University of Washington, in 2011. His current research interests mainly focus on corporate finance in connection with asset pricing. He has presented his research papers at the annual meetings of American Financial Association, Western Financial Association, European Finance Association, China International Conference in Finance, the North American Econometric Society Summer Meeting, ASU Sonoran Winter Finance Conference and etc. His research papers been published at the leading finance journals, including the Review of Financial Studies, and the Journal of Financial and Quantitative Analysis. Z Chen, I. Strebulaev (2019), “Macroeconomic Risk and Idiosyncratic Risk-Taking,” Review of Financial Studies, March 2019, 32(3). Z Chen, J. Harford, A. Kamara (2019), “Operating Leverage, Profitability and Capital Structure,” Journal of Financial and Quantitative Analysis, Nov 2019, 54(1). B. Dupoyet, R. T. Daigler, and Z. Chen (2011), “A simplified pricing model for volatility futures“, The Journal of Futures Markets, 31(4), 307-339. N. Chen, Ilya A. Strebulaev, Yuhang Xing and Xiaoyan Zhang, “Strategic Risk Shifting and the Idiosyncratic Volatility Puzzle: An Empirical Investigation,” Resubmission requested from the Management Science. N. Chen, Hamed Mahmudi, Aazam Virani and Xiaofei Zhao, “When a Buyer Gets Cold Feet: What is the Value of a Bidder Termination Provision in a Takeover?”, Resubmission requested from the Journal of Financial and Quantitative Analysis. N. Chen, Jun Li, and Kai Li, “Stochastic Volatility and the Value Premium,” Work-in-progress. “Dynamic Risk Shifting, Costly Risk Adjustment and Asset Pricing,” Thesis, the University of Washington. Organiser of the 2013 EFMA meetings. Ad hoc reviewer for the Journal of Financial and Quantitative Analysis, Management Science, Journal of Futures Markets, Journal of International Money and Finance, and International Journal of Forecasting.